The Swedish graphic designer and artist Ingrid Bade was born in the province of Uppland in Sweden. She studied at the Technical School in Stockholm and graduated in 1931 as a commercial graphic designer. During her time as a student she met the Finnish artist Edmund Bade who was part of a visiting group of students from the Ateneum art school in Helsinki. There was chemistry between the two and they married in 1931. 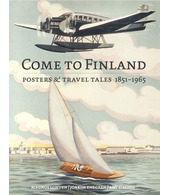 The same year they moved to Helsinki and Ingrid found a job at the publishing company Holger Schildt Oy. In 1932 she changed jobs and started working for Tilgmann’s publishing house as a commercial graphic designer. 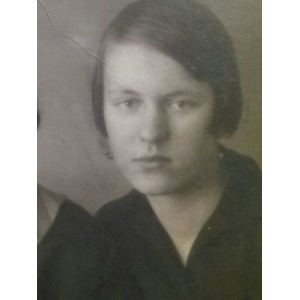 Besides her job at Tilgmann’s, Ingrid Bade also worked on designing costumes for the Finnish Opera (later the Finnish National Opera), for which she received great reviews. When Orpheus in the Underworld was performed her work was praised by the artist Sigrid Schauman in a review in the newspaper Nya Pressen: ‘Mrs Bade’s debut at the Finnish Opera was not only promising, but also a remarkable achievement […]. It is with joy that we can conclude that there is now a new force within the art of stage design.’ The review also mentions a few characteristic features that describe Bade´s poster art perfectly. ‘Mrs Bade succeeds in expressing herself clearly and easily through the use of discreet means […]. Furthermore, her feel for style is very well developed and her use of colours shows a great creativity’. Ingrid Bade also designed between forty and fifty different postcards, most of them on an Easter theme. In 1945, Ingrid Bade moved with her husband back to her home country, Sweden, and her posters were more or less forgotten in Finland – which is especially sad considering she is one of very few Finnish women vintage poster artists. In Sweden family life was the top priority, but she also found some time to paint and sculpt.